In my previous post about stem stitch, I already touched the subject of different looks this stitch may have depending on the side, where the needle comes up. Yeah, it's already a bit complicated. But there's actually more. 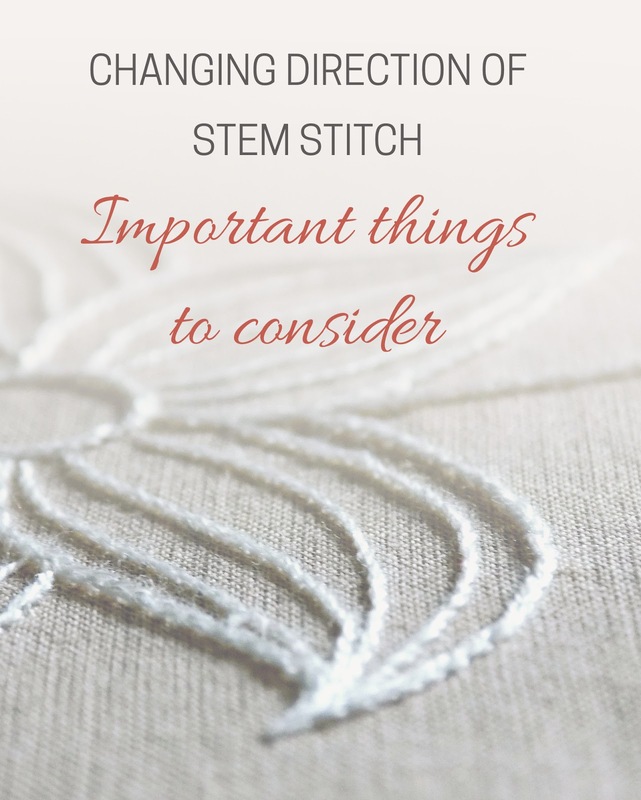 One thing to remember while stem stitching is to always have needle coming from the same side – either above the thread or below. Being consistent is essential if you want your stem stitch to look the same way throughout the whole project. 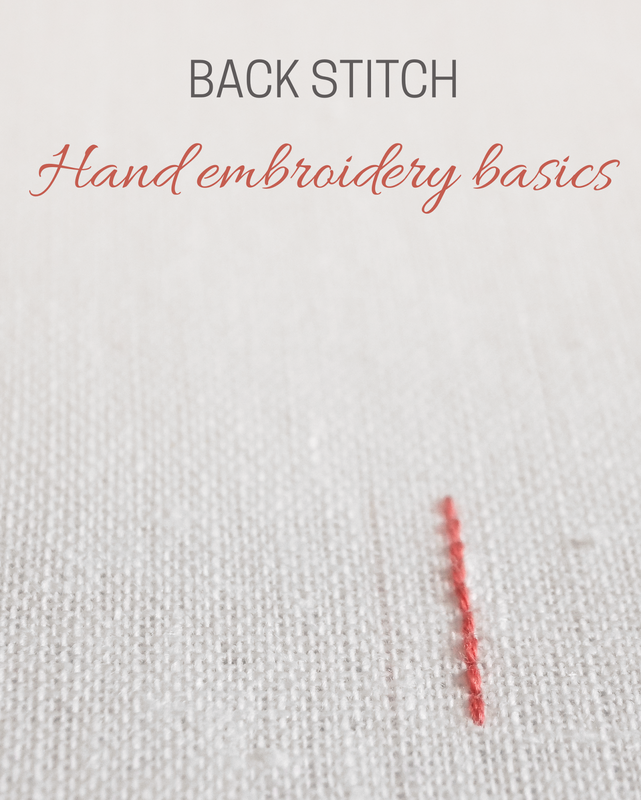 One of the advantages of hand embroidery is that you can use any fabric you want as a ground for your project. Yes, some of them are better and more convenient than others, but generally speaking, any will do. However, some types of fabric require special tricks. Today I suggest talking about semi-transparent fabrics and their whims. 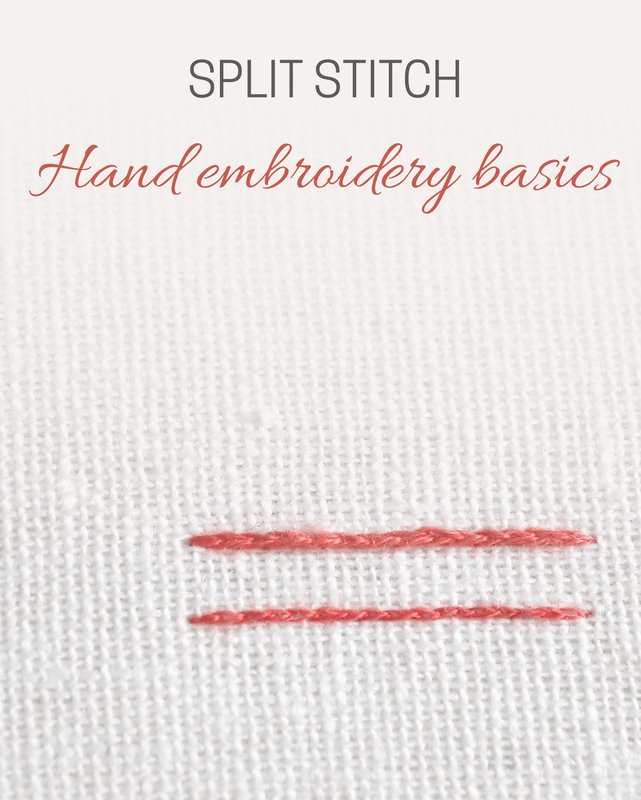 We've already covered stem stitch and split stitch, and now I'd like to tell about the third commonly used line stitch – back stitch. 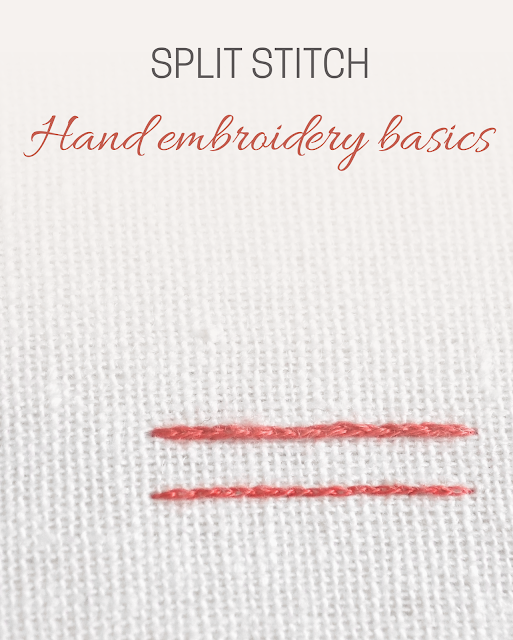 Today I want to speak about another extremely useful line stitch – split stitch. I call it a line stitch, but, for sure, it can be used as a filler as well. But first, let's see how it must be worked. Today I want to tell you about one of my designs, which is already available in the shop. It is a wreath of yellow poppies, and I'm absolutely in love with it! 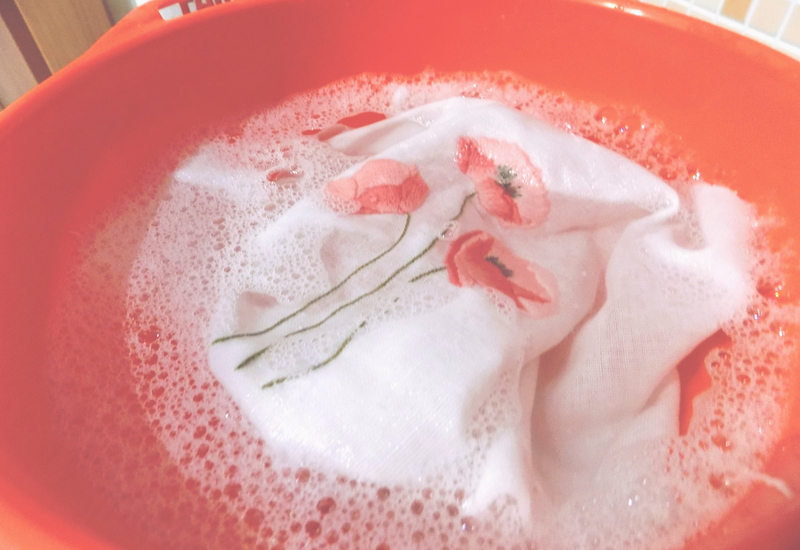 I love to delay washing my embroidery pieces. Somehow, when an article is finished, I just don't want to do anything with it except looking at it and taking pictures. 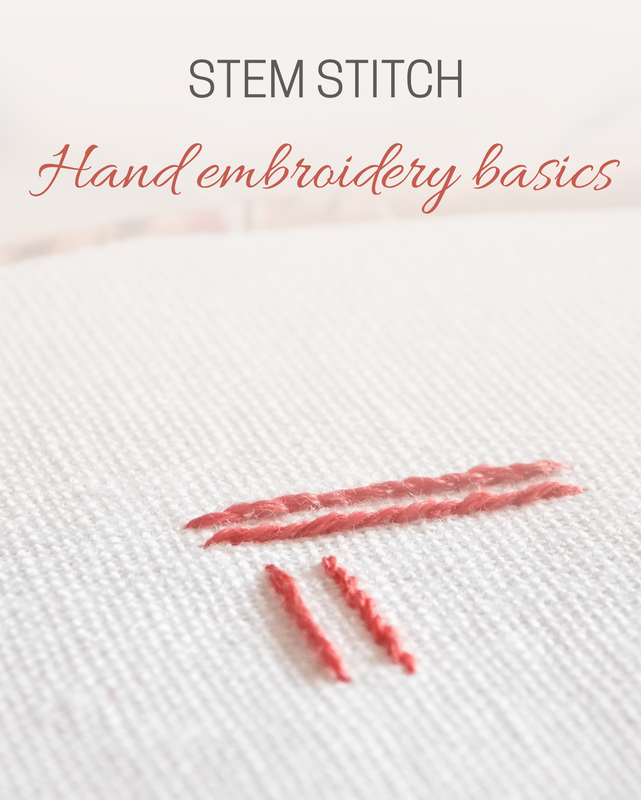 Stem stitch is my absolute favorite in hand embroidery. It can be applied to a huge variety of purposes within the ground fabric: lines, shapes outlining, lettering, filling the shapes. 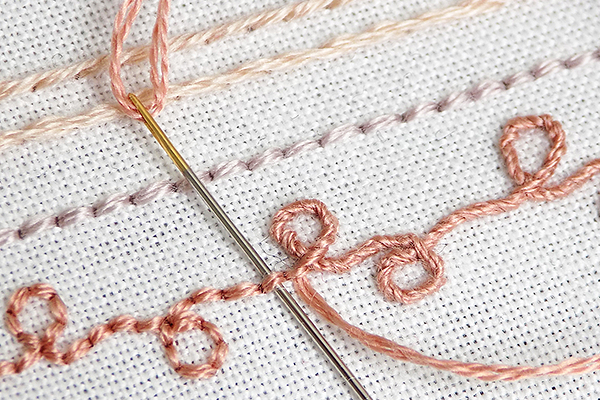 And as you may guess from the name of this stitch, it is commonly used for embroidering flower stems. 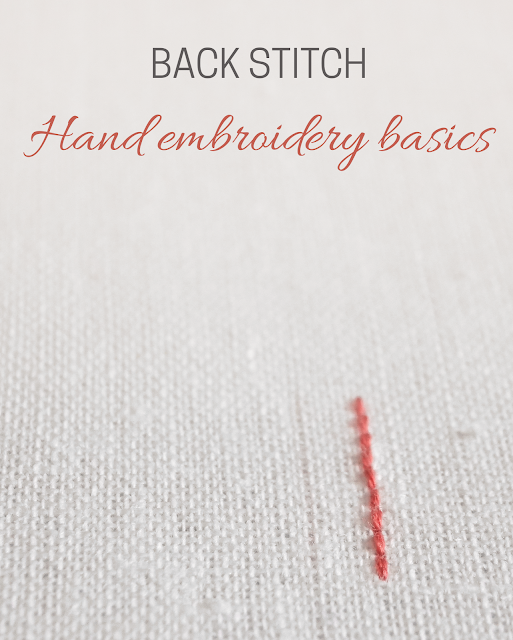 I truly believe that this stitch is one of the pillars of hand embroidery, it is just so handy. So they say that the "About" page should focus less on the author of the blog and more on its goal and value. But I want to become friends with you and for that, I think it's still necessary to tell about myself. So, this post will be the place where I will pour my heart out. My name is Amina, I started learning hand embroidery around 2014. Previously I tried lots of other crafts: patchwork, decoupage, woodcraft, and even soap making. But my passion faded away after a while. My journey to hand embroidery actually started with ribbon embroidery which is quite popular in Russia where I come from. After stitching some wild plants in the background for my new piece, I decided to explore this craft deeper and since then it didn't let me go! What mesmerized me most of all was the huge variety of ways needle and thread allow you to express yourself. 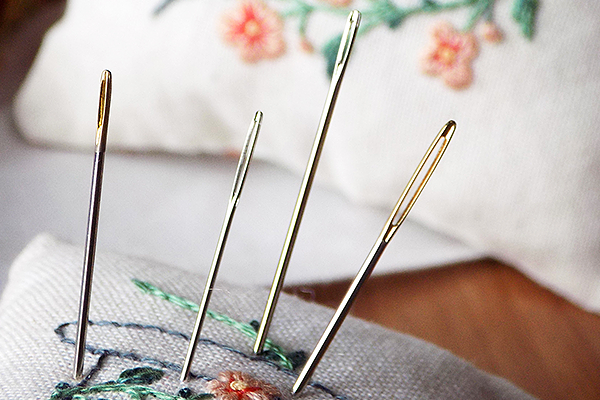 There are so many types of embroidery, so many nationals styles, so many stitches and threads and so many new opportunities! Maybe that's the reason why this craft doesn't let me go - because once you climb one of its mountains you will always find a new one ahead of you. And of course, I have the itch to explore it in all details and do all the possible experiments in this field! Yes, as you may guess, I'm an experimenter by nature. My head is constantly full of ideas, which are buzzing around noisily until they are carried out in real life. 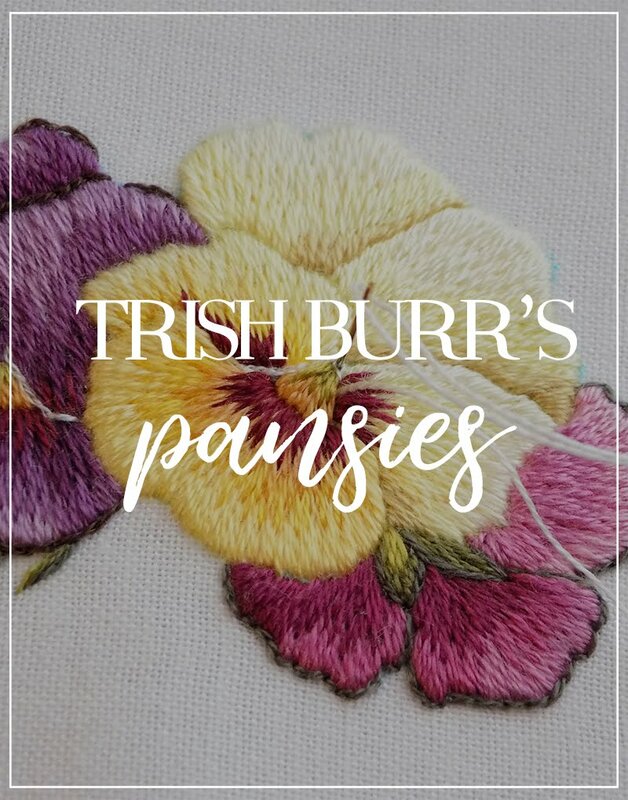 I created this place so that I could share with you all my steps in this journey of constant learning and experimenting in hand embroidery. Another fact about me: I'm also a "hamster" type of person, who likes to collect things (thread, fabric, pictures from the web for inspiration, books etc.). Surely, many crafters suffer from this "disease", but I actually collect my own embroidery as well. In my drawers, you can find all sorts of embroidered pieces which I am too unwilling to part with. 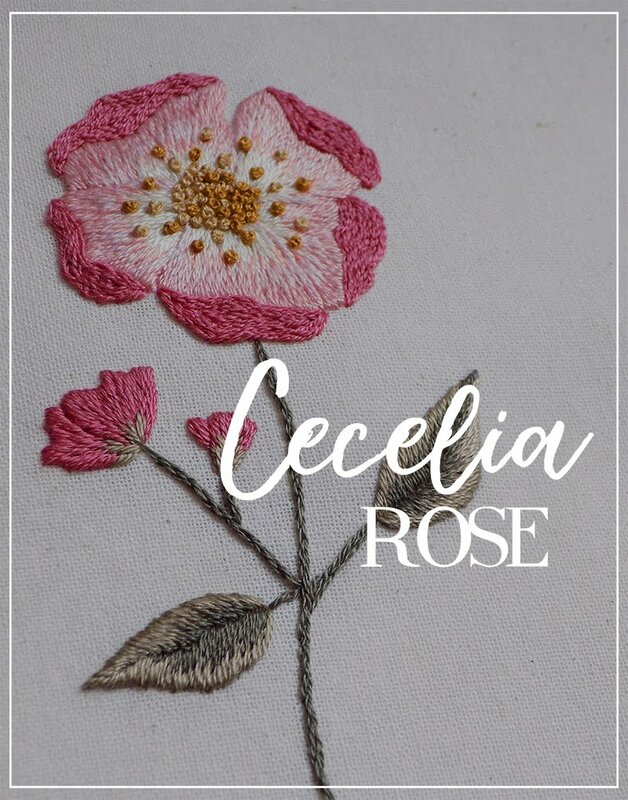 I can't even name any reason for that - there is just a special feeling to having my embroidery in one place and being able to take it out any moment and gaze on it. I prefer stitching my own designs. 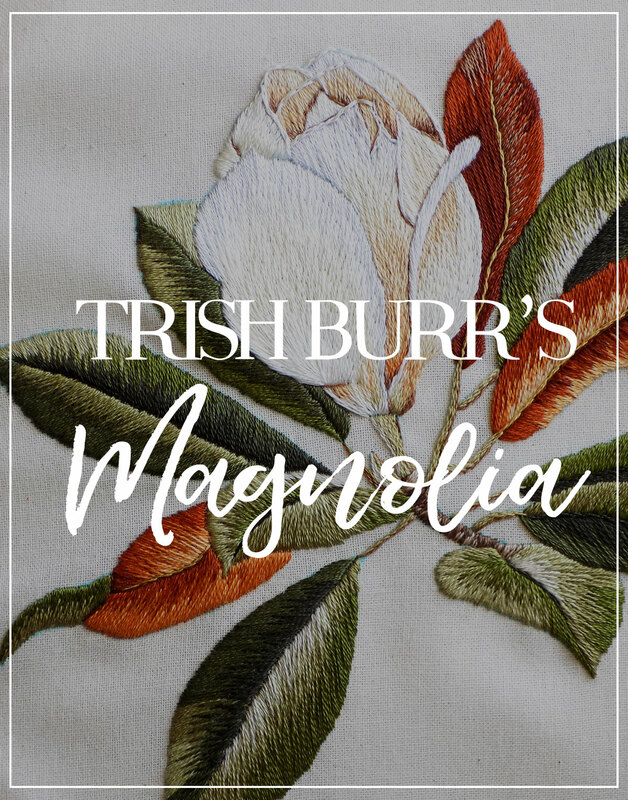 When I realized how deeply I got involved with hand embroidery, I decided that I want to make a living with this craft. 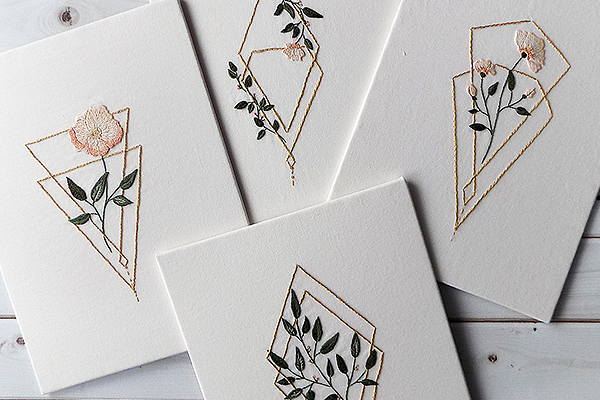 Right now I have a small Etsy shop with my own hand embroidery designs. I like every part of the process. Having an inspiration, making up a design, drawing it on a piece of paper, coloring it with pencils and crayons, tracing it on the PC, then stitching it and creating easy-to-follow instructions. I always can see the space for improving, so my goal is to make the products better and better with every step I make. If you have any questions, feel free to drop a line below in the comments section or write me in the contact form. 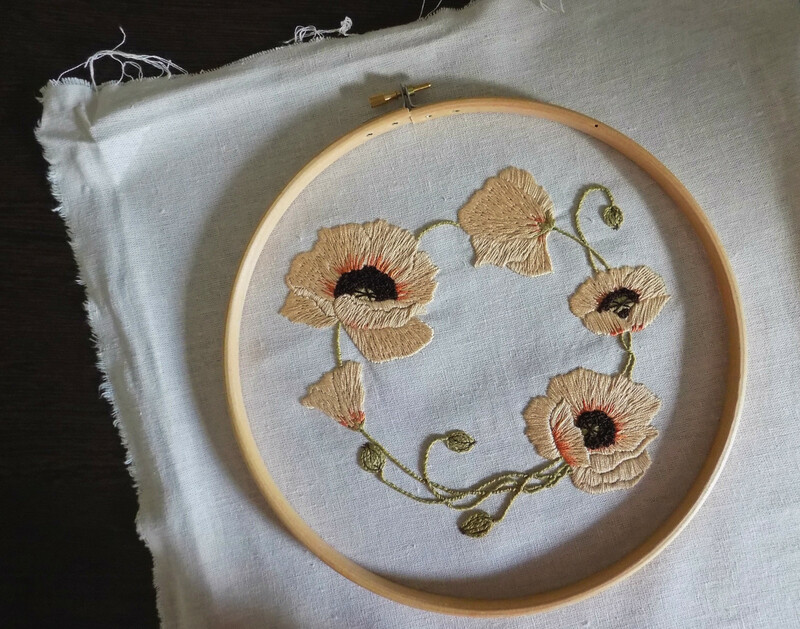 Also, I would really love to hear your story of learning about hand embroidery! Please, share it with me and others. Let's inspire each other! This blog is starting its adventure, so I think it can be a good idea to make this post about what I want it to become. 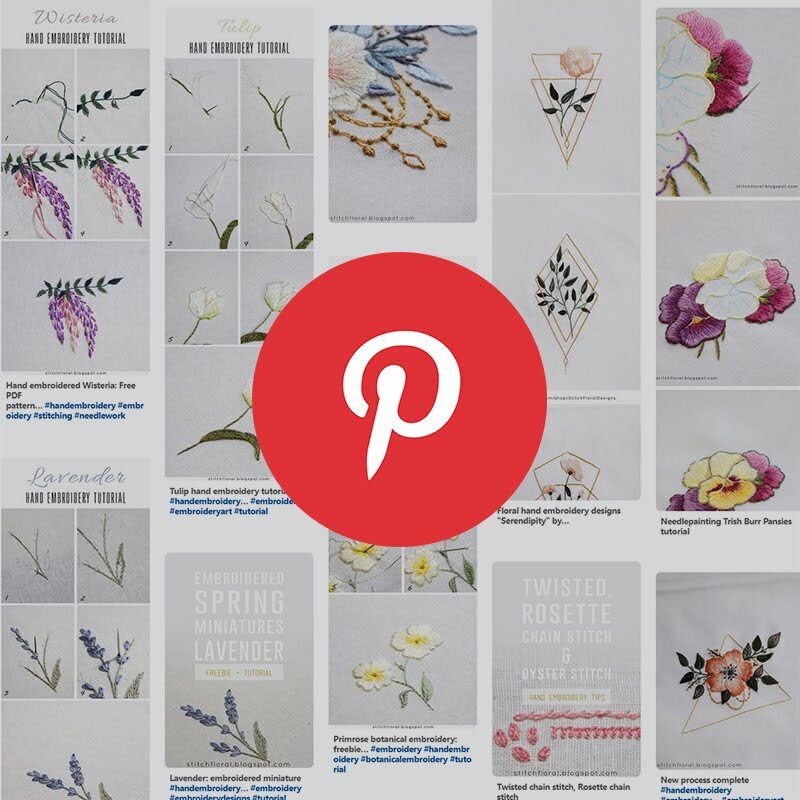 I hope this will become a useful place for stitchers all over the world, containing valuable and relevant information on all kinds of aspects connected with the art of hand embroidery. I also hope that it will have a friendly atmosphere and an actively engaged audience. I pray for this place to be as entertaining and exciting as helpful!